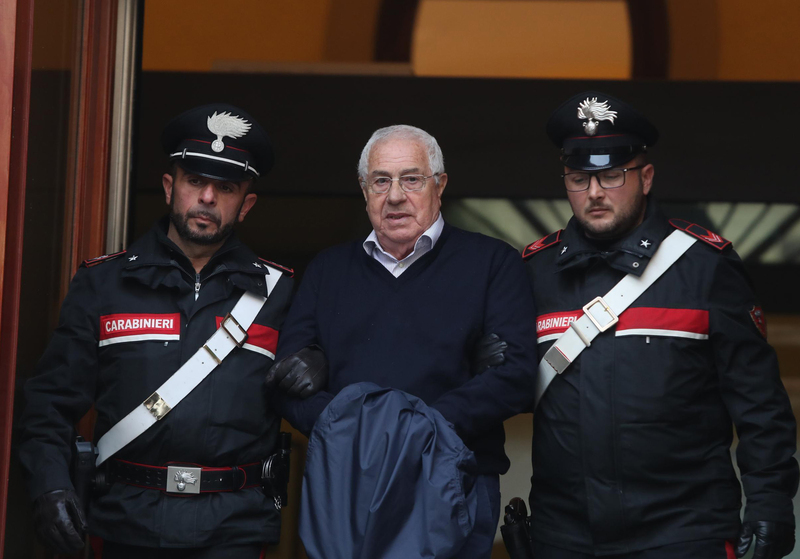 ROME (AP) — Italian authorities said Tuesday they had dismantled the rebuilt upper echelons of the Sicilian Mafia by arresting 46 people including the presumed new regional boss who took over after the death of the “boss of bosses” Salvatore “Toto” Riina. Interior Minister Matteo Salvini called the sweep an “extraordinary operation” in the Sicilian capital, Palermo. Based on wiretaps, police determined that during a May 29 meeting of clan leaders in Palermo, Settimo Mineo had been elected head of the “cupola,” the mob leadership. It was the first time clan leaders had gathered in such a forum for years, and followed the November 2017 death of Riina, prosecutors said. Palermo prosecutor Francesco Lo Voi recalled that Mineo had already served a lengthy prison sentence for Mafia association and other crimes after he was swept up in the maxi-trials against the Sicilian Mafia in the 1980s and ’90s. As the eldest of the local clan leaders, he enjoyed particular respect, he said. After Riina’s 1993 arrest, the Sicilian Mafia saw a degree of marginalization compared with the Calabrian-based ‘ndrangheta organized crime syndicate or the Neapolitan Camorra. But Italian officials said it nevertheless continued increasing its financial and business activities.